Open air church – is this houston? 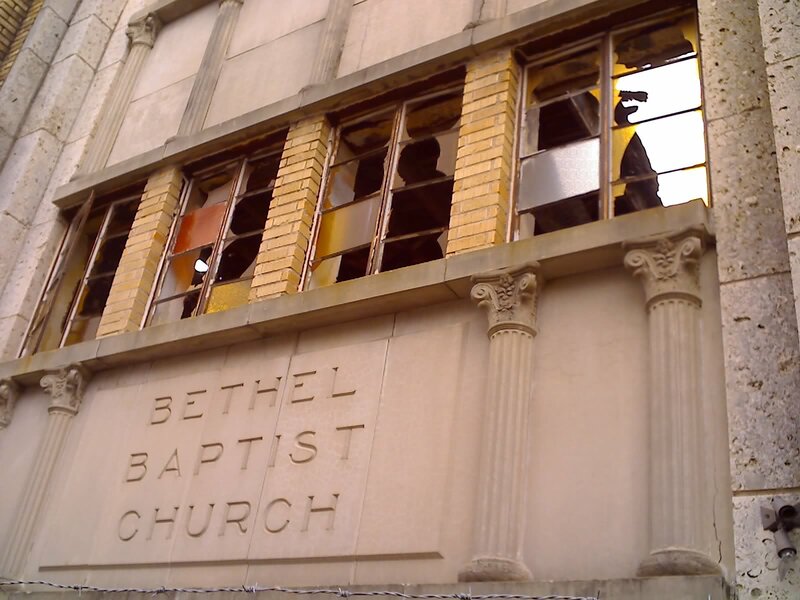 The Bethel Baptist Church just outside of Downtown Houston. I bet this place is demolished and rebuilt with more Tin Alley style town homes within the year.